I recently released a new book entitled ReportLab: PDF Processing with Python. In celebration of a successful launch, I have decided to do a little contest. The contest will run starting now until Friday, August 17th @ 11:59 p.m. CST. Runners up will receive a free copy of the eBook. The grand prize will be a signed paperback copy + the eBook version! ReportLab: PDF Publishing with Python is now Available! My latest book, ReportLab: PDF Processing with Python is now available for purchase. ReportLab has been around since the year 2000 and has remained the primary package that Python developers use for creating reports in the PDF format. It is an extremely powerful package that works across all the major platforms. 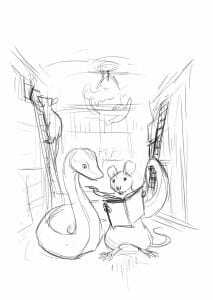 This book will also introduce the reader to other Python PDF packages. Fillable forms have been a part of Adobe’s PDF format for years. One of the most famous examples of fillable forms in the United States are documents from the Internal Revenue Service. There are lots of government forms that use fillable forms. There are many different approaches for filling in these forms programmatically. The most time consuming method I have heard about is to just recreate the form in ReportLab by hand and then fill it in. Frankly I think this is probably the worst idea, except when your company is in charge of creating the PDFs itself. Then that might be a viable option because you then have complete control over the PDF creation and the inputs that need to go into it. There are many times where you will want to extract data from a PDF and export it in a different format using Python. Unfortunately, there aren’t a lot of Python packages that do the extraction part very well. In this chapter, we will look at a variety of different packages that you can use to extract text. We will also learn how to extract some images from PDFs. While there is no complete solution for these tasks in Python, you should be able to use the information herein to get you started. Once we have extracted the data we want, we will also look at how we can take that data and export it in a different format. Let’s get started by learning how to extract text! ReportLab has native support for generating SVGs, but not for embedding SVGs in their PDFs. Fortunately, Dinu Gherman created the svglib package, a pure-Python package that can read SVG files and convert them to other formats that ReportLab can use. The official website for svglib is on Github. The svglib package will work on Linux, Mac OS and Windows. The website states that it works with Python 2.7 – 3.5, but it should work in newer versions of Python as well. There is only a little over 2 days left for my ReportLab book Kickstarter. This is your only chance to purchase a signed copy of the book and it’s also probably the cheapest way of getting the eBooks too! I currently have 7 chapters done with number 8 nearing completion. There are over 170 pages in these chapters alone. I hope you’ll check it out as ReportLab is a fun way to use Python to design dynamic reports in a PDF format. I thought it would be fun to create a sample of the book so you can get an idea of what the book will be like. So I created a PDF that contains the first 3 chapters of the book for you. Note that the format of this sample is not quite right as I had to generate it from a more complete version, so the PDF’s table of contents shows more than what is actually in the document. Also I just broke through the 100 page boundary over the weekend. I am finishing up chapter 5 and will be cranking out another couple of chapters this week if all goes well. I really like coming up with fun covers for my books. I also like to find new artists for each book so that they all end up looking unique. I do plan to re-use one or two artists at some point though. Anyway, for the ReportLab book I happened to stumble across Therese Larsson’s website and I really liked how she did her lighting in her artwork. She is from Sweden and has worked with some fairly big companies, including Disney, Google, and Adidas. You can read more about her on Behance. text = "Hello, I'm a Paragraph"